Debbie McCreight, has been teaching dance for more than 30 years. Debbie was the owner of The Dance Factory which opened in Ocala in 1985 and closed in 2015. Debbie passed the studio to her daughter, Brooke, who opened The Dance Company of Ocala. Debbie, originally from Toledo, Ohio, the McCreight family moved to St. Petersburg and then on to Ocala in 1985. 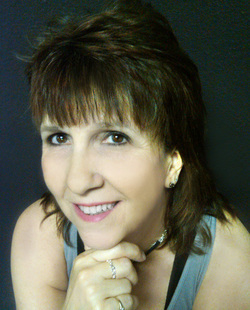 Debbie was the artistic Director of Dance Ocala from 1995 – 2007. She was co-writer of 3 original stories presented by Dance Ocala: Merlins Daughters, Julie’s Dragon and Beyond Beauty. Debbie was the Jazz Corp Director at Fort King Middle School for 9 years. She has worked with Mt. Moriah Baptist Church for 12 years on their annual pageant. Debbie also was the choreographer for The Wiz in 1996, Dream Catchers in 1998, South Pacific in 1999, Annie in 2001, Honk Jr. in 2003, Music Man and All Shook Up 2008, Once Upon A Mattress in 2009, and A Funny Thing Happened on the Way to the Forum 2013 all Ocala Civic Theatre productions. She was the choreographer with the Ocala Theater Company which performed their world premier children’s musical Odyssey 2000 in 2000 and was the director and choreographer of Dream Catchers in 2002 and choreographer for Dream Catchers II in 2002. Debbie choreographed the Ocala Youth Theater’s production of Grease in Dec. 2005. Debbie has continued her study of dance by attending numerous workshops each year, studying under some of the great dancers of Broadway, movies and music videos. With this training and background she is able to share new dance techniques and the love of dance with her students.